Buy CS:GO Non Prime Accounts Prices starts at 1.49$ only. Please Kindly Contact us via LIVE CHAT if you received unrank account due to Party Member Ban. 2. Then go to Buy CSGO Accounts tab. 4. Make Payment via G2A Pay or PayPal. 5. 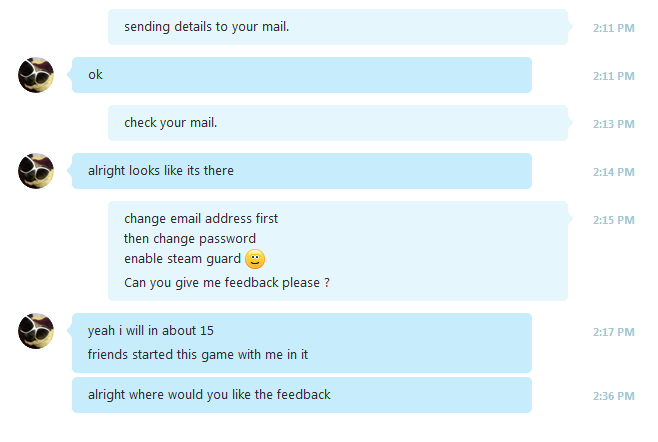 After Successful Payment is done you will receive your Steam Login Details in your Billing Email address. OK, So why choose us ? 8. 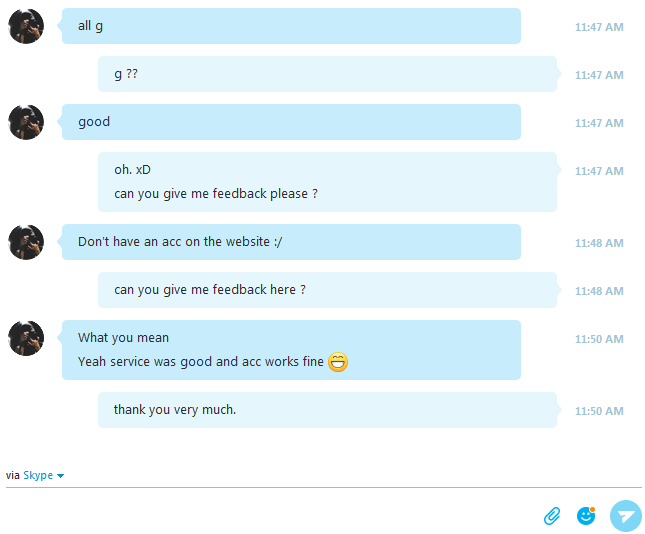 If i'm not giving reply in LIVE CHAT then don't think that I'm ignoring you, maybe I'm busy or AFK or Offline. Just send an email to [email protected] and wait for my reply. Bought 5 level 3 accounts from him and everything was perfect. can recommend him for sure! Looks like everything has worked out great seller and worked with me on getting a smooth sale. and received within 5 mins! Brought a Pr3 account with 5 Keys, got it in a few minutes. Account bought. Perfect. Thank you very much. Hi I'd like to buy a silver account with 9 CSGO keys. This was me. Had some snags but everything is being resolved. Cyber is working with me now. Sold 1x Gold Nova 3 to Harry. Bought 3 pr3 accounts, went fast and smoothly. Reason - Too many multiple accounts. bought s1 quick and easy, recommended!